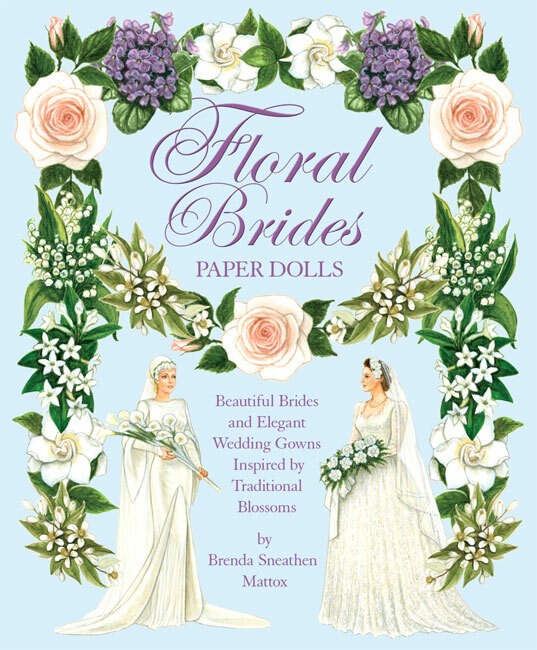 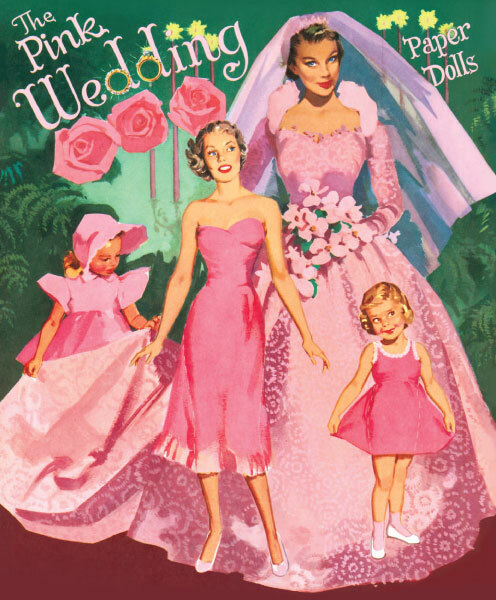 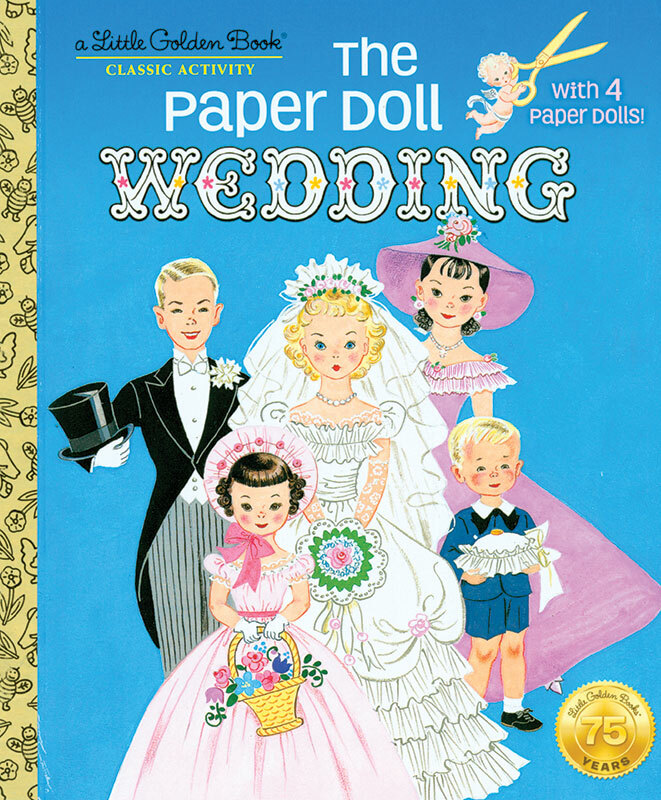 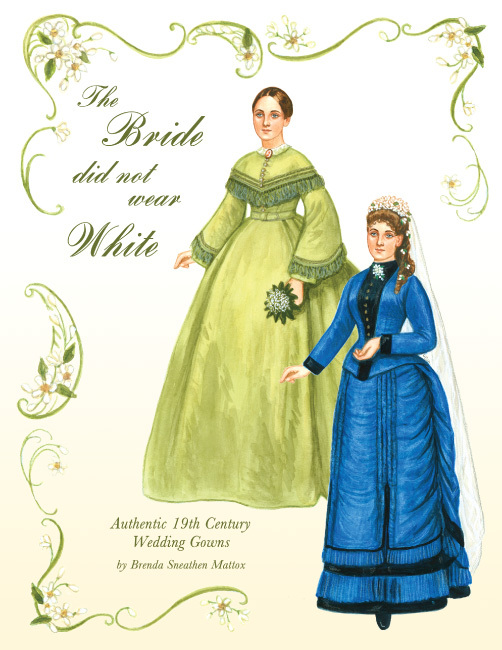 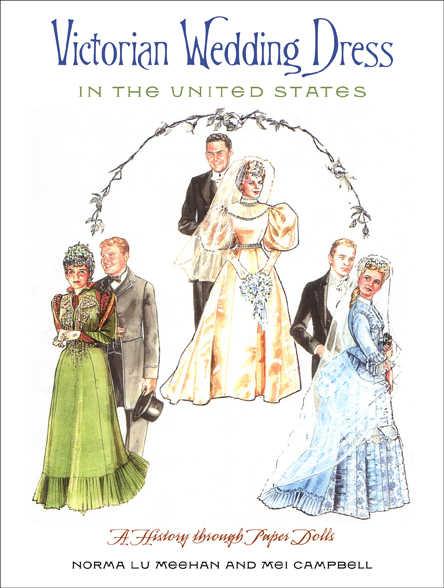 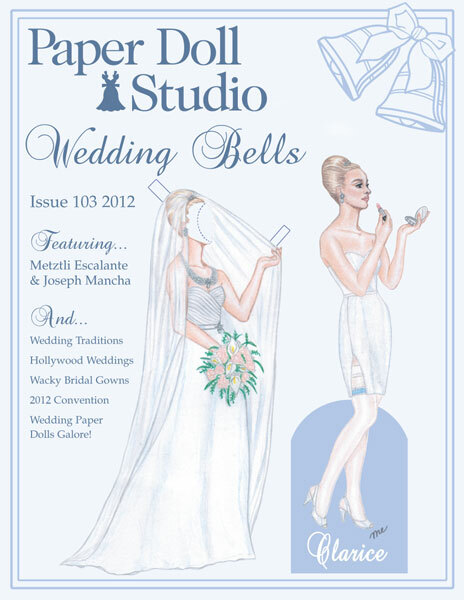 Paper dolls get married! 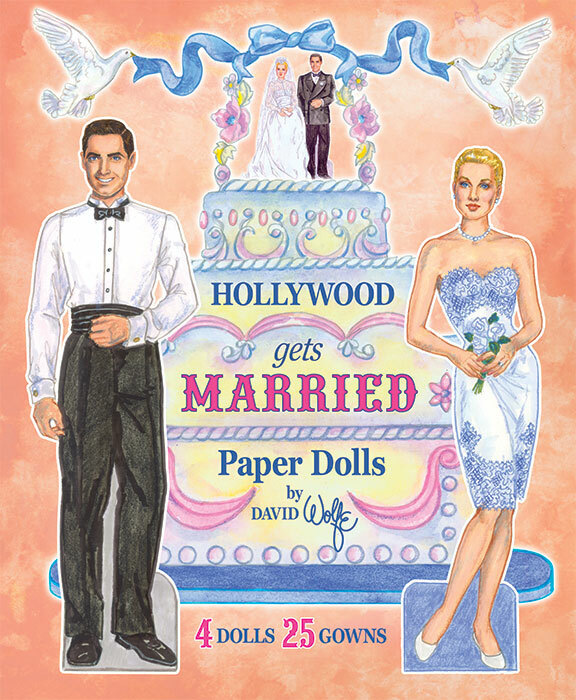 These paper dolls are a fun and unique shower gift for the bride-to-be. 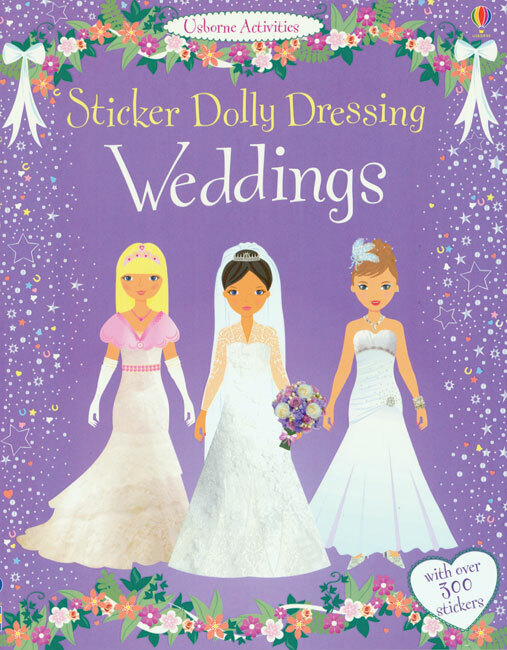 Or a special gift for the flower girl! 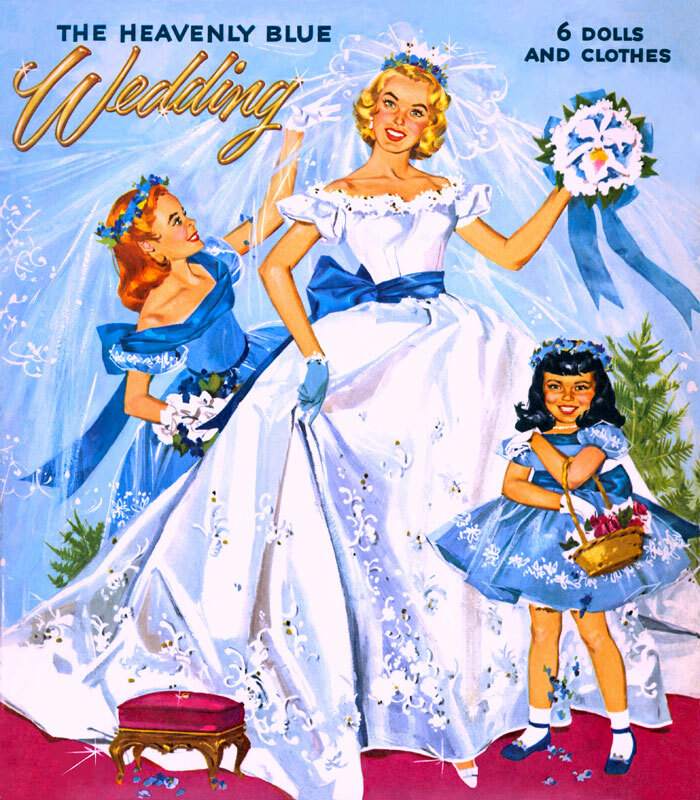 Pretty Bridal Gowns of the '40s. 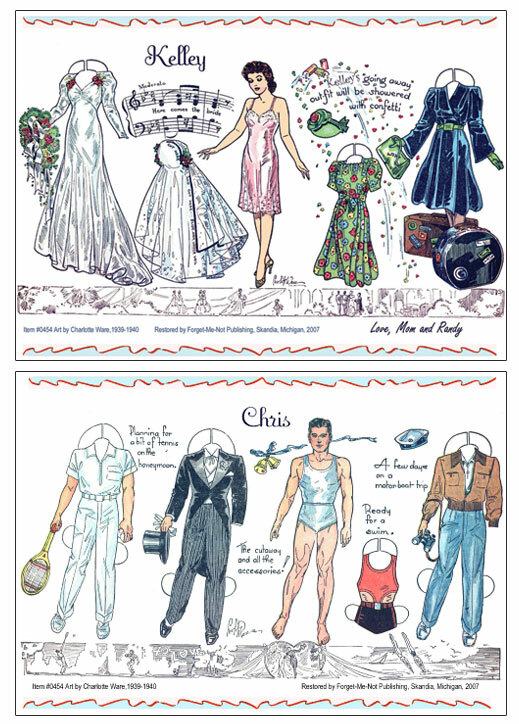 Chris and Kelly get married in this 2-page set by Charlotte Ware. 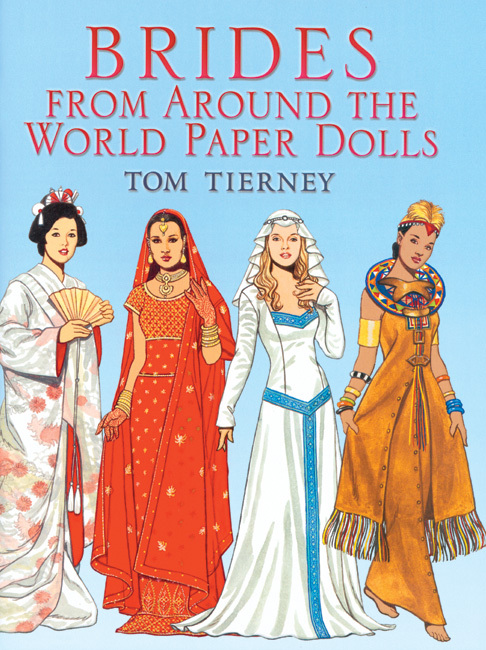 2 dolls and 7 outfits. 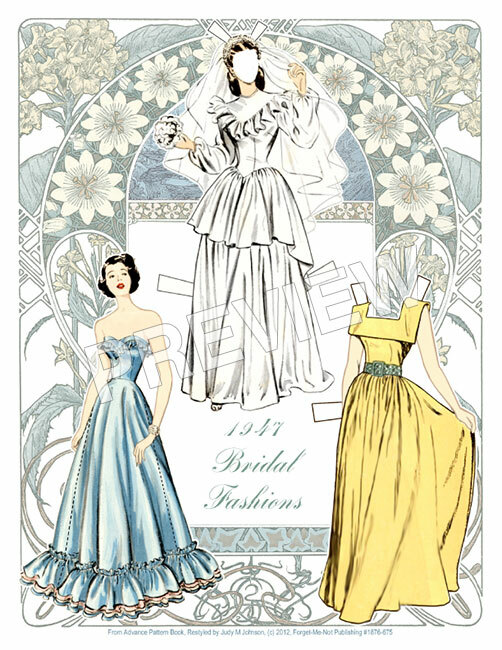 Delightful art by Hilda Miloche!